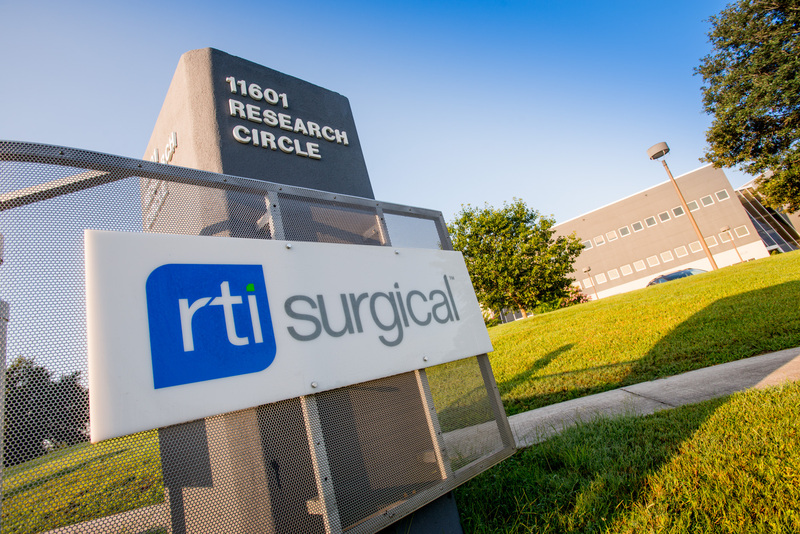 RTI Surgical® Schedules Fourth Quarter and Full Year 2017 Earnings Call for March 1, 2018 - RTI Surgical Holdings, Inc.
Alachua FLA., February 15, 2018 – RTI Surgical, Inc. (Nasdaq: RTIX), a global surgical implant company, today announced that it plans to release financial results from the fourth quarter and full year of 2017 on Thursday, March 1, 2018 prior to the market open. RTI will host a conference call and simultaneous audio webcast to discuss fourth quarter and full year 2017 results at 9:00 a.m. ET the same day. The conference call can be accessed by dialing (877) 383-7419 (U.S.) or (760) 666-3754 (International). The webcast can be accessed through the investor section of RTI’s website at www.rtix.com. A replay of the conference call will be available on RTI’s website for one month following the call.